In spite of the fact that Iowa has the lowest overall business utility rates, taxes, real estate costs, and wages in the nation (1), local leaders in Traer, Iowa continue to look out for our best possible, probable and preferred future economic landscape. They recognize the opportunity of leveraging assets already in place since the state of Iowa ranks 2nd in highest wind generation output (2). Beyond that they also recognize the importance of diversifying our energy sources and hedging costs for us as end users. 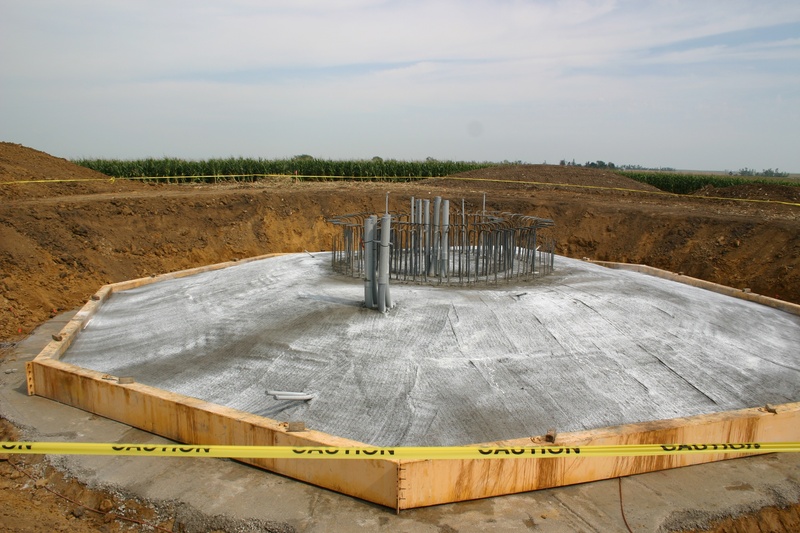 This month Traer Municipal Utilities also took a major step forward as they started construction of a community wind turbine slated for completion before the end of October 2011. If you have an interest in learning more about small commercial and residential wind power, this week offers a great opportunity with the American Wind Energy Association (AWEA) bringing its annual Small and Community Wind Energy Conference to Des Moines, Iowa Sept. 15 – 17. The public can also visit with industry leaders from all across the nation exhibiting on Saturday Sept. 17, 2011. 10 a.m. – 5 p.m.
Another way you can tap into first mover info on the emerging alternative energy markets would be through Iowa Partners for Economic Progress’ free GreeNetwork electronic newsletter. It features updated legislative info, upcoming educational workshops & conferences, financial and planning assistance resources, and other info relevant to innovators who can spot instances where opportunities are being missed, to design and implement sustainable, value added solutions in clean technology. ← Workforce Update: Who are we creating jobs for in Tama County?